KitMonsters – Gertrude. The music makers’ guide to making music. 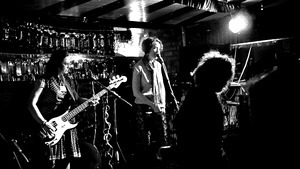 Gertrude are a cult feminist post-punk band who have built a following around the world for their powerful, eclectic and playful sound. They are amazing live, incorporating everything from guitar, bass and drums to electric cello, melodica and clarinet, and have supported seminal bands such as Chumbawamba, The Slits, No means No, Fugazi and Shellac, and even ‘punk robots’ at a science/art event at the ICA. Their new album is Love Axe Wish List and comes as a limited edition CD with custom artwork, on vinyl, or digital download. 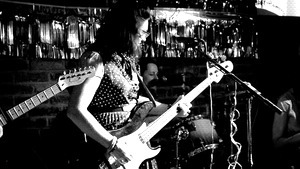 The band consists of Dawn Rose, Iona Tanguay, Ayesha Taylor and Zoë Gilmour and their next gig is at The Stag’s Head in East London on 22nd February. We caught up with Gertrude recently at Tipsy in Dalston, London. 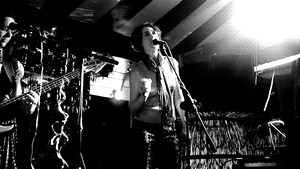 They played a fast-paced set featuring seductive harmonies fused with frenetic guitar. Tracks from their new album included the hook-laden Perfect O, dripping with sweet and sour attitude, and the lilting, almost funky, clarinet-led Nose Ring Piggy. They are ace multi-instrumentalists and their brand of playful punk spanned everything from dance to protest tunes. Iona talked us through their gear on the night, starting with Ayesha’s set up. 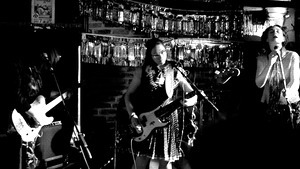 Ayesha’s guitar is a Fender Telecaster. 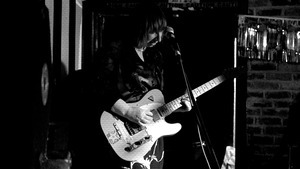 The FX she used were Rat (distortion pedal), Boss digital delay and SansAmp - distortion and amp modeller. 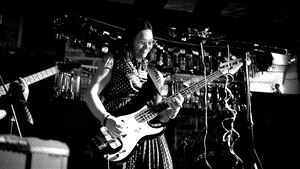 We both used a Fender Precision Bass guitar. She also used a Casio SA-5 mini keyboard for one song. 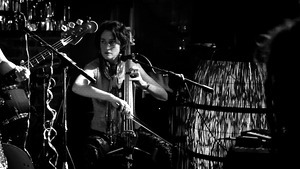 Zoe used an electric cello made by Mo Clifton at Clifton Basses. He makes electric cellos and basses to fit individual musicians. Zoe played a new melodica. She also has a vintage Hohner melodica. I played a Fender Stratocaster guitar and a second hand Buffet clarinet in need of repair, as well as the bass. Dawn used a 13” Tama snare, a gift from DragonForce drummer, Dave! Her cymbals are by UFIP. She says they are handmade Italian cymbals and the loves of her life. 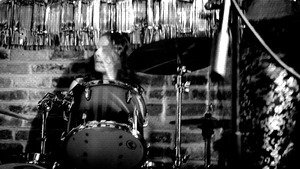 Gertrude’s album Love Axe Wish List was engineered by Felix Macintosh at Tigersonic Studio in London. Felix also did some of the mixing. Read Felix’s tips for band pre-nups, and why they are essential!